If you ride your bike or motorcycle a lot, especially in a large city, you've probably had a few close calls. No matter how safely you're driving, you never know what other people are going to do, and being on a smaller vehicle makes you difficult to see. 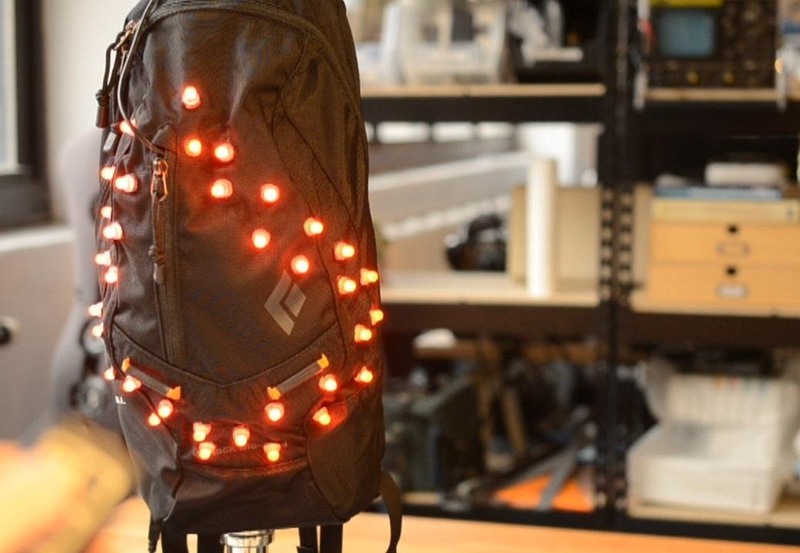 Most bicyclists rely on hand signals to let other drivers know where they're going, and the turn signals on motorcycles can be difficult to see, so Becky Stern over on Adafruit came up with this DIY brake light backpack to help her friend be more visible on his bike. You'll need a Flora board and accelerometer along with a small weather-resistant enclosure, battery pack, keyfob remote control, and some cables and resistors. 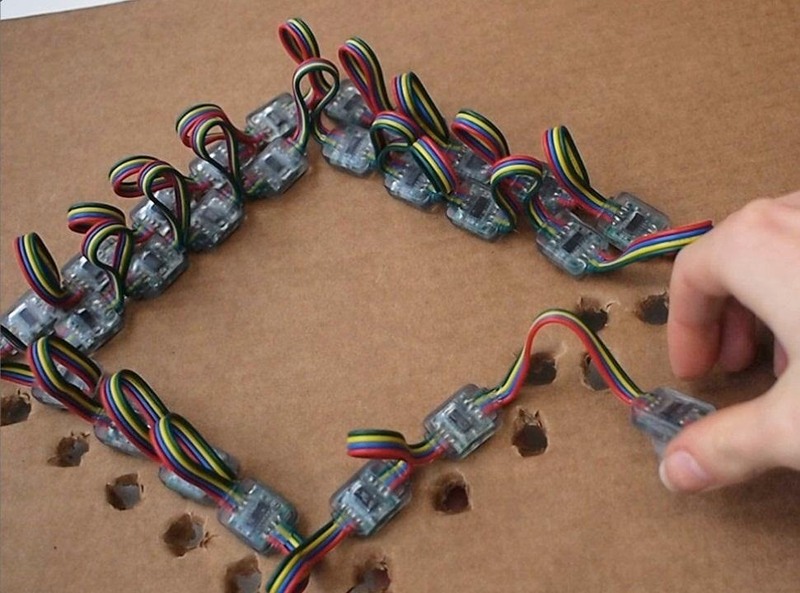 You can find the full parts list here, and most of the supplies can be ordered from Adafruit. After wiring the Flora board, Becky used a piece of cardboard with holes for the LEDs to make the diamond shape on the back of the bag, using zip ties to hold everything in place. Once the shape was in place, she removed the LEDs and attached them to the front of the bag, stitching the pixels in place and sealing all the edges with a lighter. Check out the video to see the step-by-step instructions. You can find detailed instructions and all the code over on Becky's tutorial. Looking for something a little less complicated? You can add simple turn signals or use an Arduino to pimp your whole bike with a speedometer, brake lights, turn signals, and a strobe night light.